If you suffer from achy joints and back pain, you're all too familiar with the discomfort that often keeps you from leading the life you want. Get back to a more comfortable life with natural, powerful herbal support for joint health with Arthocin by Terry Naturally. 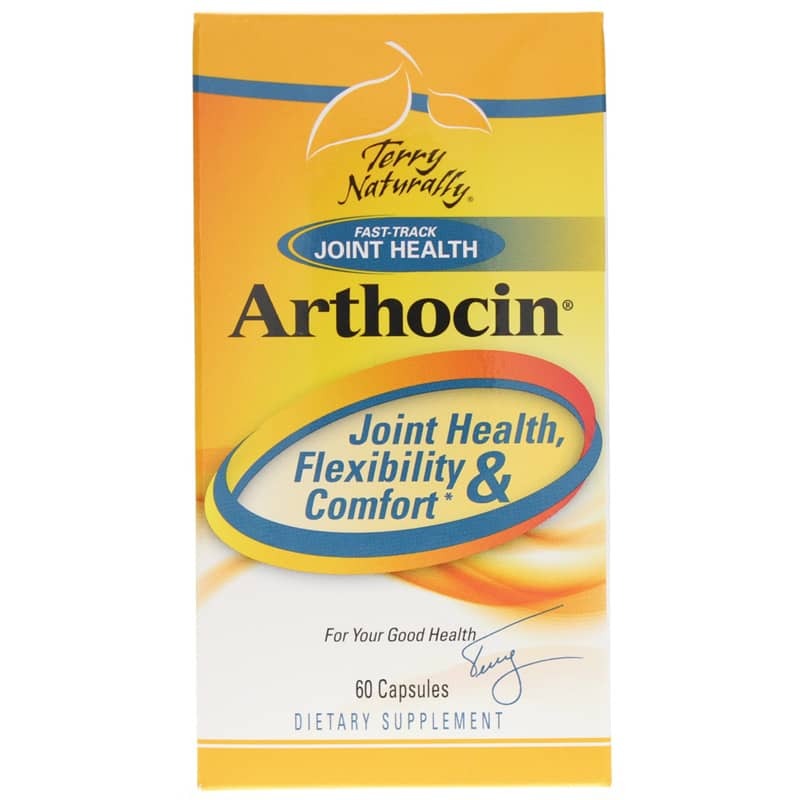 Arthocin is a proprietary blend of herbs including curcumin, boswellia, devil's claw, and Indian gooseberry formulated to support joint health and overall comfort. Arthocin may inhibit COX-2 and 5-LOX enzymes and other signaling and biological pathways that may contribute to the production of prostaglandins. Excess prostaglandins may cause painful symptoms including swelling. Therefore, Arthocin may help maintain a healthy immune response to better manage pain and possibly allow for healthy regeneration of cartilage for overall joint health. 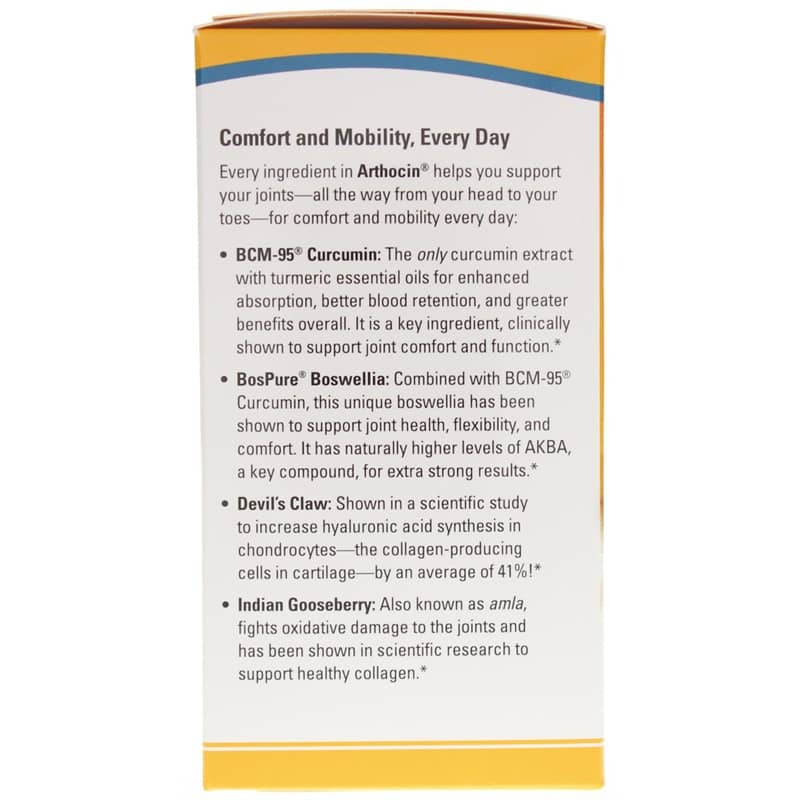 Arthocin may also support the production of hyaluronic acid and synovial fluid in the joints, two substances naturally present in joints that help maintain overall health, function, and mobility so your body has the flexibility you need to keep moving through life the way you want. Don't let back and joint pain keep you from doing the things you enjoy. 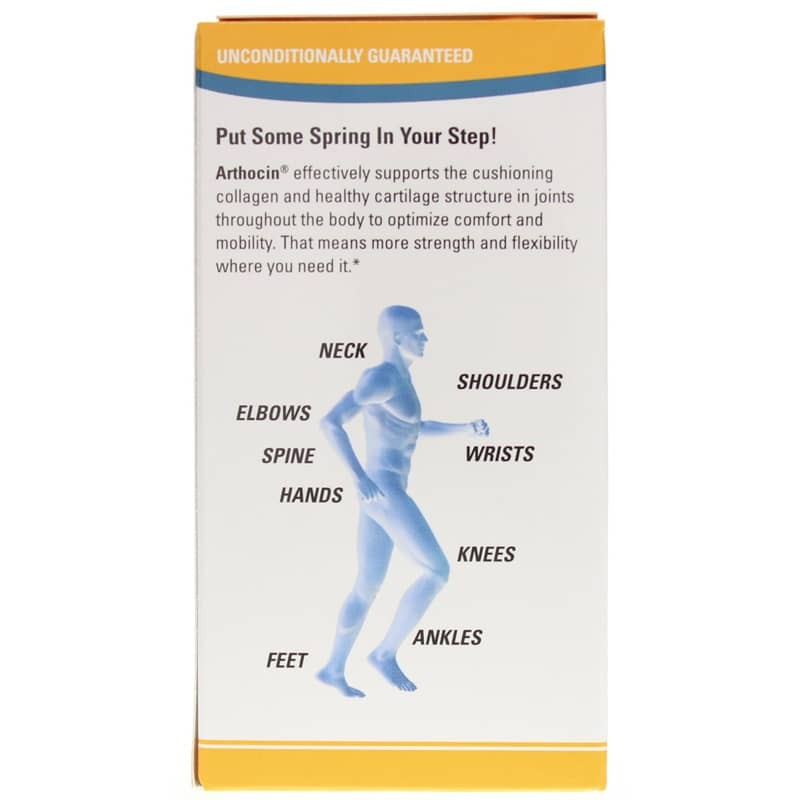 Get natural joint support with Arthocin. Order today! Other Ingredients: hydroxypropyl methylcellulose (vegetable cellulose capsules), cellulose powder, silicon dioxide, vegetable source magnesium stearate. Contains NO: sugar, salt, yeast, wheat, gluten, corn, soy, dairy products, artificial coloring, artificial flavoring or artificial preservatives. Vegan. Non-GMO. Adults: Take 1 to 2 capsules daily or as recommended by a healthcare professional. This suppliment is working well for me. I have some occasional lower back and hip pain, and this seems to help. 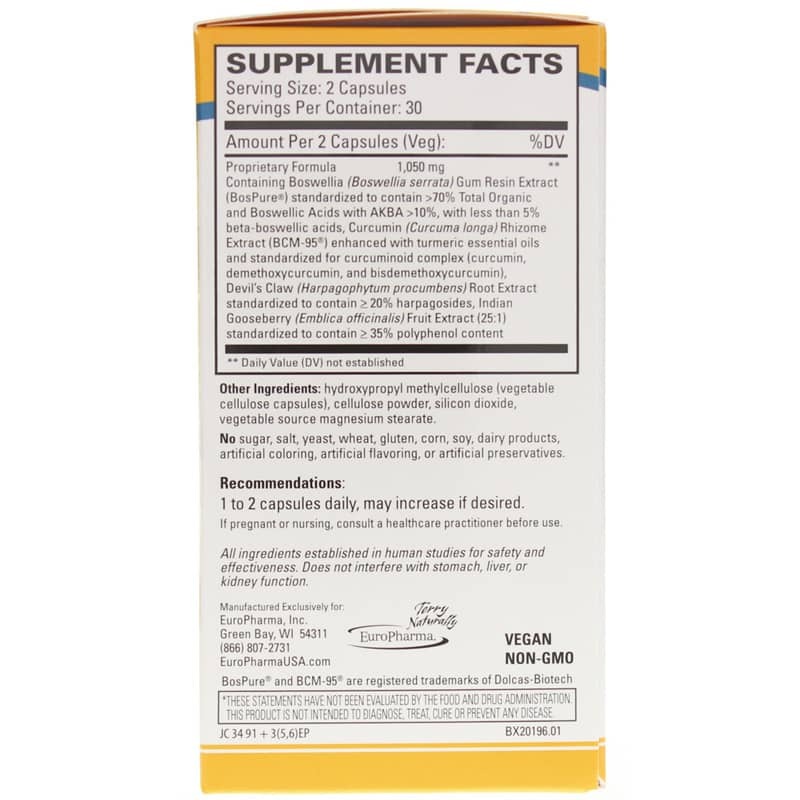 I take the Arthocin and the Curcumin from Terry Naturally daily. After trying Arthocin for several weeks I noticed a big difference. I have continued to buy more ever since and have referred to several friends. I found this worked and NOTHING ever works for me!! Back and forth to doctors with the same results, NONE!, I asked an associate in my regular health food store for recommendations.. Arthocin was recommended for knee pain/osteo. The price threw me because I'm unemployed. Well, I couldn't walk well or even get out of a chair without pain so how was I to go to a job if I found one! Now, I have begun to exercise again with minimal discomfort. It is truly worth the try!